A dental cavity is a fairly common oral health problem that can easily be treated in order to restore the structure and strength of the affected tooth. Although dental cavities have been in use for decades, it is only in recent years that patients have had so many restorative dentistry treatment options for repairing these damaged teeth. While patients in the past had to rely on noticeable metal fillings, an increasing number of patients are now turning to tooth-colored fillings. Tooth-colored fillings restore and protect the tooth without compromising its aesthetics. In addition, tooth-colored fillings strengthen the teeth and are extremely durable. In fact, the lifespan of tooth-colored fillings provides our Albuquerque patients with years of protection. 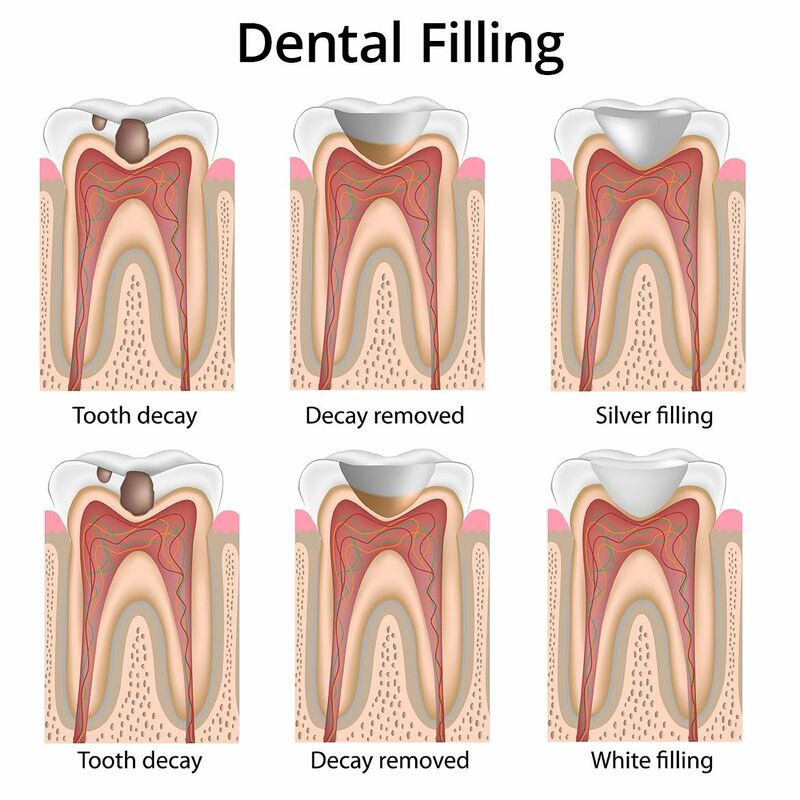 Tooth-colored fillings are comprised of a composite material containing resin. This material is applied directly to the affected tooth, where it is shaped and molded into place. Aside from the aesthetic differences, one of the most important distinctions between a metal filling and a tooth-colored filling is that tooth-colored fillings actually bond with the tooth. Its ability to bond with the tooth is an important advantage of tooth-colored fillings. This strengthens the tooth and also makes the tooth (and filling) less prone to damage. Metal fillings expand and contract when exposed to extreme temperatures, a factor that may lead to a chip or crack in the natural tooth. Tooth-colored fillings do not expand or contract, and therefore, can protect the tooth for many years without an increased risk of damage. Because there are many factors that affect the lifespan of a tooth-colored filling, there is no guarantee as to how long they will last. On average, tooth-colored fillings should offer patients protection for a minimum of five years, but with proper care, they can last for ten years or more. By practicing good oral hygiene habits, patients can protect dental fillings and the natural teeth. Dr. Byron Wall offers a full range of general, restorative, and cosmetic dental services to help his patients get (and keep) the healthy, attractive smile that they desire. If you’d like to learn more about our high quality dental care, schedule an appointment with Dr. Wall at your earliest convenience. We look forward to hearing from you!